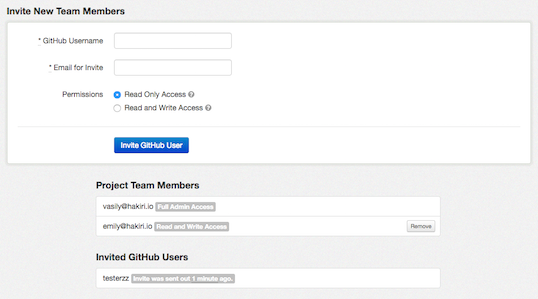 I am excited to announce an updated UI and new functionality in the Hakiri web app. We collected a lot of feedback from our customers in the past few months on how the web interface was being used in the real world and what they considered to be the major pain points. We finally did it—Hakiri is now free for nonprofits around the world! Several organizations approached us in the past year asking if they can use Hakiri for free and the answer has always been “no” due to the lack of time to develop this functionality on our end. Now the answer is finally “yes.” We provide Medium plans free of charge to any nonprofit that approaches us. Just email us at hello@hakiri.io with some proof that your GitHub account or organization belong to a nonprofit and we will setup your account with free access to the Medium plan. Nonprofit proofs vary from country to country, so we evaluate them on a case-by-case basis. For example, in the United States nonprofit organizations have a 501(c)(3) tax-exempt status and in this case a determination letter from IRS would suffice. Hakiri runs on a lot of open source technologies that we don’t pay for, as do many other web services. This is why giving back to the community is an important idea that we try to embrace whenever we can. We already provide free service to open source Ruby projects and now we extend it to nonprofits as well. Exciting times! In the past couple of weeks we worked on some fundamental architectural changes to Hakiri. Those changes are going to make everyone’s lives easier. One of the biggest user experience hurdles that some of our customers experienced were related to the confusing concepts of issues and warnings that essentially represented two different things: CVE vulnerabilities and static code analysis warnings. 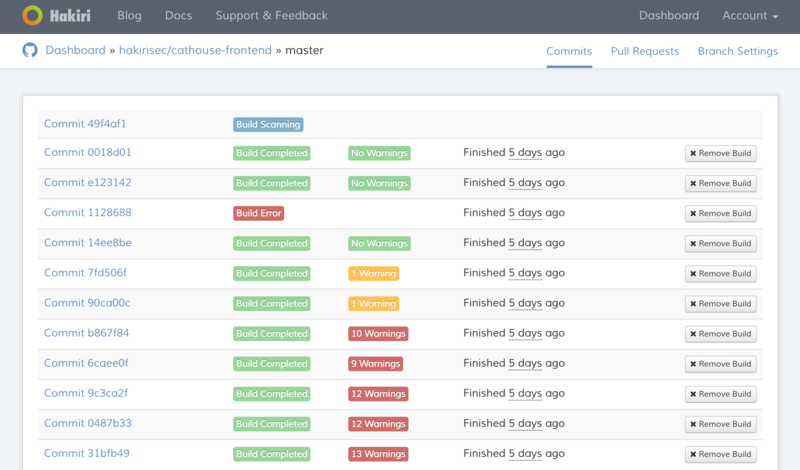 The problem is that warnings and issues are two fundamentally different concepts, yet we assigned both of them to each build making it seem like they were the same. This setup made it impossible to mark CVE vulnerabilities as false positives and users couldn’t reference those vulnerabilities in the context of project branches. 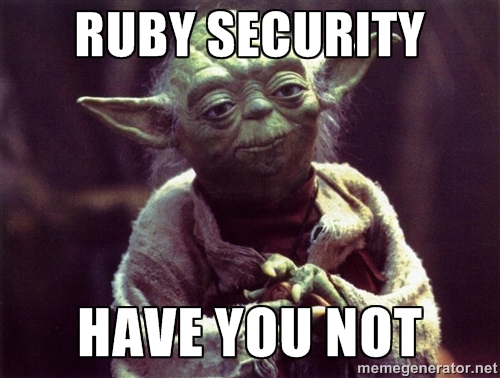 Ruby developers have a wealth of tools for efficient prototyping, testing, and continuous integration that are well known and widely accepted in the community. But what about security? An average Ruby developer will probably mention Brakeman and Gemnasium but only a handful of teams looked into more options and even less adopted other solutions. 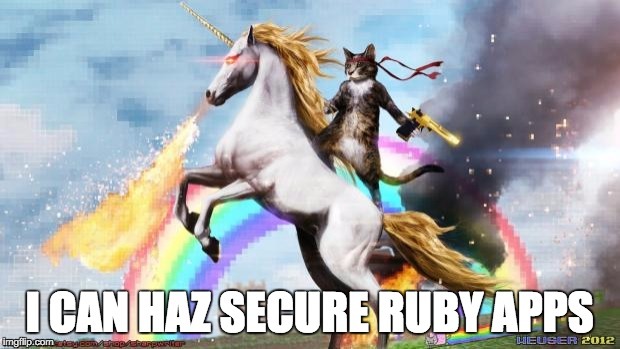 I am super excited to announce that Hakiri supports open source Ruby projects for free now! There were some technical hurdles that we had to resolve but now our security tools are finally available to the open source community. 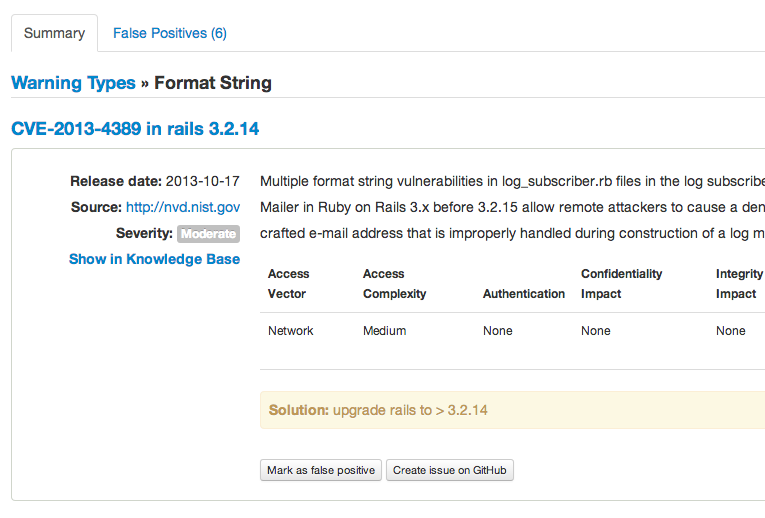 As long as the project is public on GitHub there is no need to have a paid plan to monitor it for vulnerabilities. 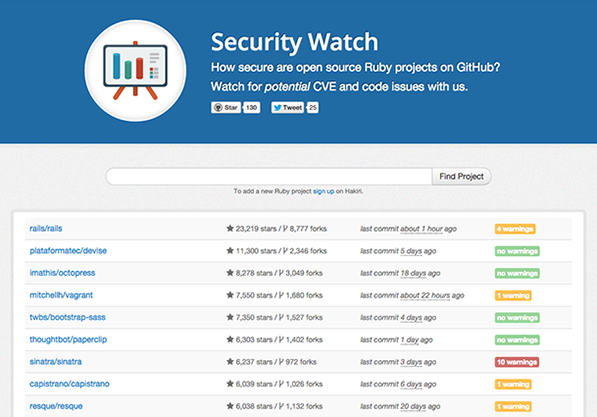 To start monitoring security of your Ruby apps sign up on Hakiri with GitHub and follow projects and branches that you want to monitor. 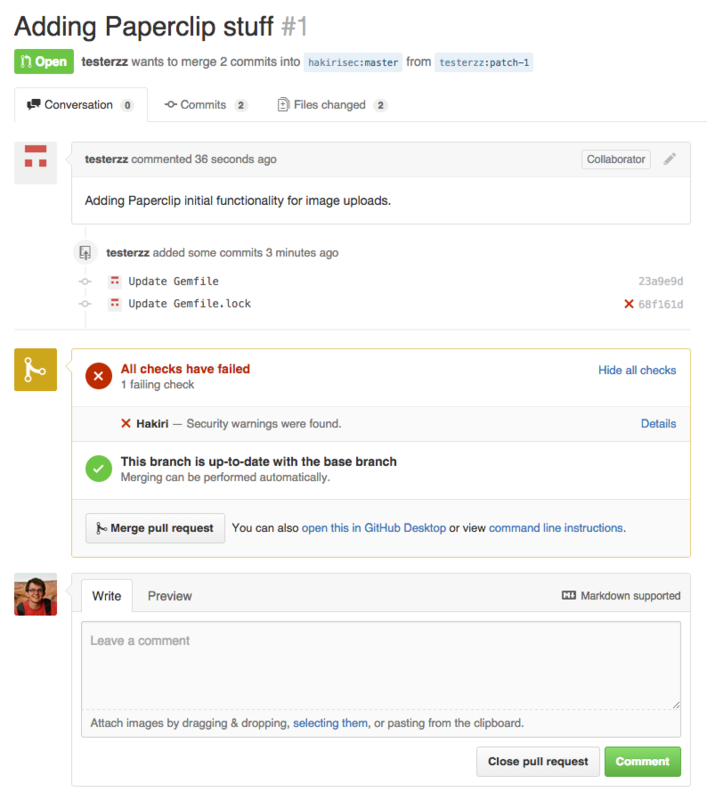 Hakiri will make an initial code pull and setup a web hook for future commits. You can always follow multiple repo branches at once as well.